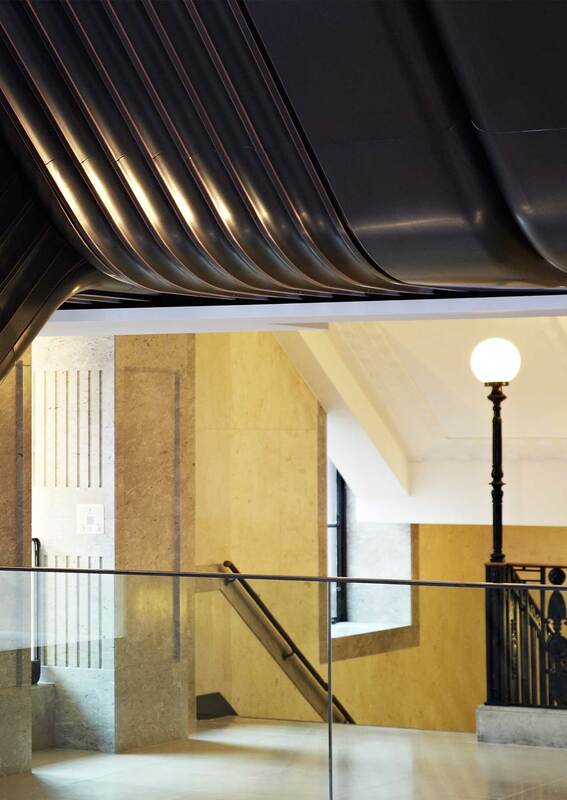 The grand overhaul of the Basil Street escalator hall (consisting of 16 escalators over eight floors) included the careful restoration of the listed 1928 Art Deco staircase. In keeping with the distinctive era, it was key to complement the design with newel post lights on the balustrades. Located at the start and end of each flight, the cast iron finial posts are adorned with polycarbonate spheres and positioned across all floors. The design of the newel post globes emulates the original historical luminaires, but with modernity in mind. The world-famous Knightsbridge department store is a very busy place, so we had to think about durability. Polycarbonate was a natural choice over glass, safely covering the need for absolute robustness. Retrofit LED lamps provide the light source inside. 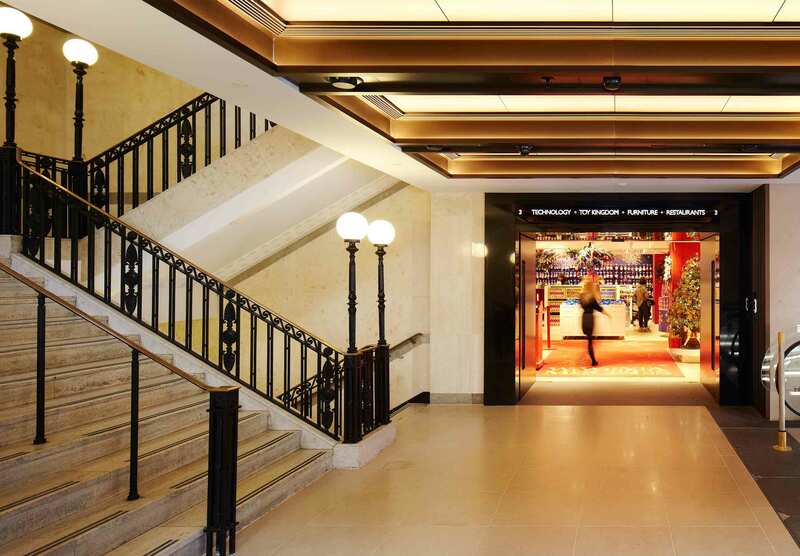 The elegant globes create a sense of nostalgia across the space, and work beautifully in contrast to the striking, fluted bronze-clad escalators.